Apples are one of the most popular fruits in the world. While some apples are excellent for cooking, others are best eaten raw. They are delicious and healthy, but they are also tasty in pies, muffins, cakes and also make a great addition to salads. 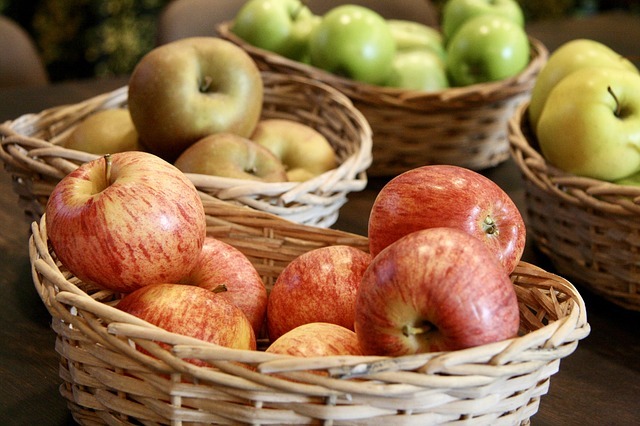 Always buy organic apples whenever possible, because some apples can be sprayed with 30 different pesticides. How do you tell a good apple from a bad one? 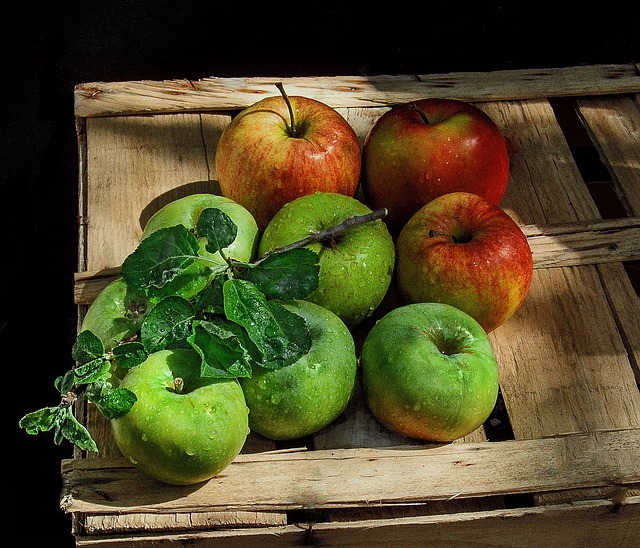 When picking apples from the tree or the market, look for one that is firm, brightly coloured and somewhat heavy. The heaviness means juiciness because of maximum water retention. Overripe apples will feel soft and shrunken. What is the best way to store apples? For the longest storage keep apples in the refrigerator to slow down their natural ripening process and discourage mold growth. Properly stored apples will stay crisp and juicy for months. How do you keep apples from browning? After cutting the apples place them in cold water with ¼ cup lemon juice and two teaspoons of vinegar (I use apple cider vinegar). Another option you can toss them in sugar or syrup. What makes an apple good for cooking? Apples high in acid such as Granny Smith or Braeburn are best for cooking because they keep their shape in pies and crisps. Acids enhance the perception of other flavours and retain more flavour. Any apple can be used for making applesauce especially McIntosh, but crisp tart apples like Granny Smith make chunkier and looser sauce. What is the best way to wash apples? To wash conventional apples I use 3-part water to 1 part vinegar, or you can use a product specially formulated for cleaning produce. For organic apples, you simply wash them with clean, fresh water.